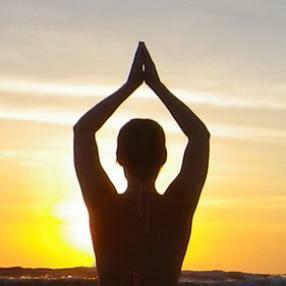 An invigorating, early-morning one-hour vinyasa practice will leave you inspired and awake, ready to face the world! Vinyasa means linking breath and movement for a dynamic flow – moving prana, life-force, and energizing you physically and mentally. Strong emphasis on sun salutations and invigorating flow, guaranteed to leave you feeling awake and alert for the rest of your day. 1 hour jump start to your day! We get rolling quickly with sun salutations, through a series of standing poses, twists and forward folds, through a backbending sequence and wrapping up with a modified version of the Ashtanga closing sequence including forward folding, inversions and fish. Ending in svasana. Vinyasa is breath-synchronized movements with a flowing series of asanas or postures offered in a gently heated room. As you move freely through a series of postures you will increase your balance, strength, flexibility, and endurance both physically and mentally. All are welcome to this practice as it is easily adapted for all levels. A fluid style of yoga that links movement with breath for a mind-body workout. The Vinyasa style of yoga generates heat, builds strength and flexibility, and focuses the mind. Sequences will be linked using sun salutations. 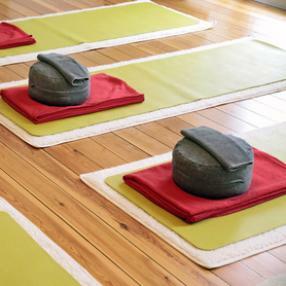 Classes end with a deep relaxation. Modifications will be shown to guide each student to their own personal edge. 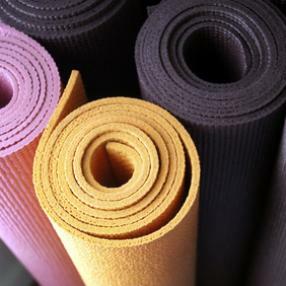 532Yoga's Vinyasa classes provide intelligently designed sequences based on an informed, aligned foundation. This class promotes a limber, strong, and flexible physical body as well as a calm and serene mind. Let go of the stresses and tensions of the day, and work through a graceful fluid flow interspersed with the holding of postures to allow for deeper integration of mindfulness and consciousness. Integration of the whole self is achieved simply by (re)turning our attention to what is most natural – the fluid, flowing breath synchronized with movement or stillness. Stress relief and renewed vitality will follow naturally from the practice of attending to each living moment. Open to All Levels. All welcome ! Class is suitable to all levels including beginners. These classes are Vinyasa based, which offer an energetic, flowing style of yoga that synchronizes movement with the breath. Creative sun-salutations will be used to warm the body and alignment cues will be offered to safely refine individual poses, which include standing, balancing, forward bends and twists, as well as options for inversions, backbends and arm balances. The pace is energetic yet comfortable and instructors offer many modifications and options to move deeper into the poses. This class features a series of poses that connect breath to movement. In Power Yoga, breathing will be emphasized as you progress through a flowing sequence of poses. Breath will help you get out of your head and into your body. Your practice will grow as you delve deeper into postures, empowered by your breath. Mixed level women's class with breath work, asana practice and guided relaxation. Whether you are a beginning student or have experience this class offers you flexibility, strength and balance. No matter what your age, strength, or flexibility, this class meets you where you are. You will be offered plenty of modifications if required and will be invited to take more advanced postures if you are more experienced. Cultivating a more intimate experience with your emotions as we move with ease, uniting you and the yogi within, both on and off the mat. Experience the amazing transformation that a regular yoga practice can bring. Our relaxed group atmosphere promotes camaraderie while celebrating the individual. We recognize that each practitioner is on a different yoga journey and our experienced instructors will help you modify and tailor your practice. This class is designed to support your personal growth and it's fun! Gain insight to alignment, release tension, de-stress, breathe deeply, and observe how your body feels as you open and strengthen with new and familiar movements. All levels of student are offered assistance and given the opportunity to understand alignment principles and movements to maximize safe, informed range of motion. Class ends with a guided deep relaxation.